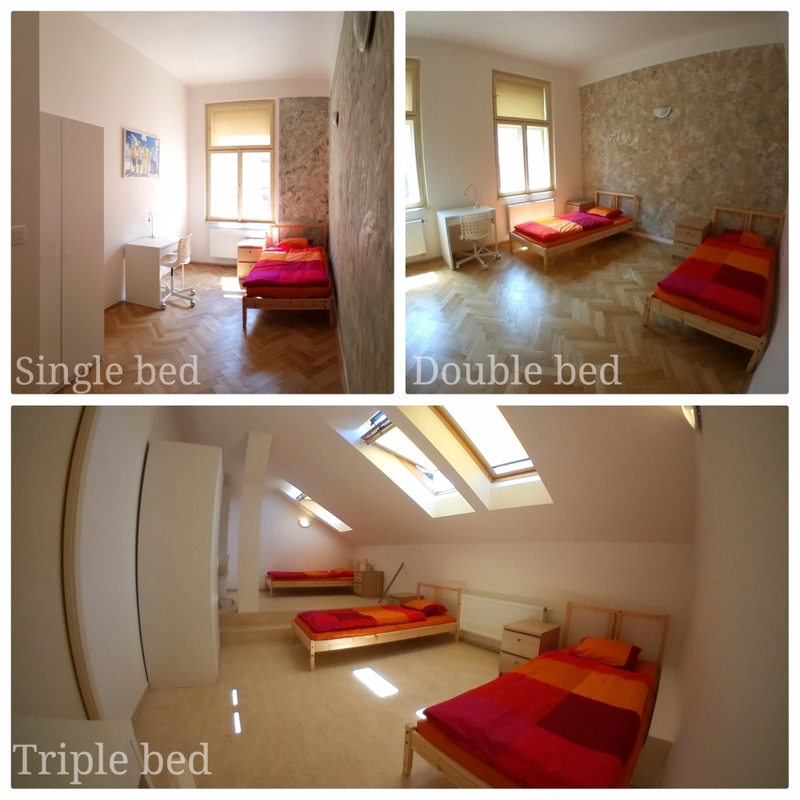 In our apartments you will experience comfort and a friendly enviroment just in the centre of Prague. We accomodate students and guests in 3 types of rooms - single bed room, double bed room and triple bed room. The rooms are competely renovated with very nice design. In each room there are amenities to facilitate your comfort such as refrigerators, desk and side tables, cabinets, beds and wifi internet. There is a bathroom in every apartment. There is a laundry with ironing facilities and copy center for a small fee as well. Cleaning of your room and changing of linens twice a month is included in your monthly rent. 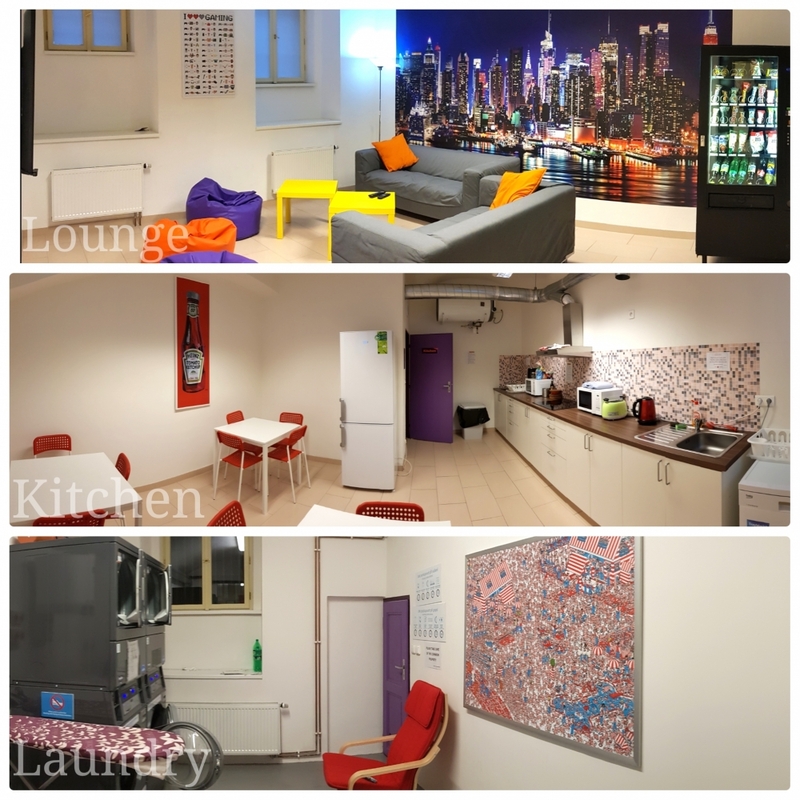 You can meet other students in our common room which is equipped with a large TV, sitting area and also use the common kitchen with all necessary equipment. Tyrsova 1813/3, 120 00, Prague 2.